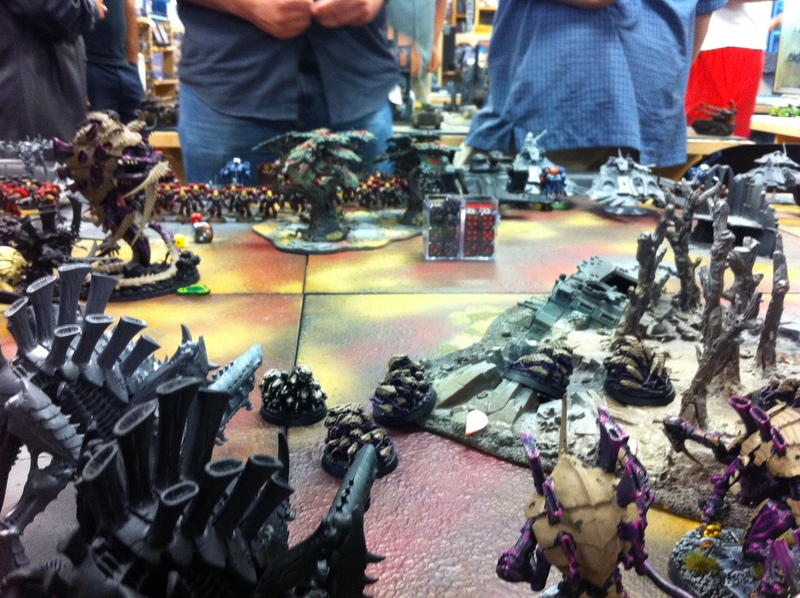 Game 6: Tyranid Swarm!!! | 30mm Madness! HUGE game. 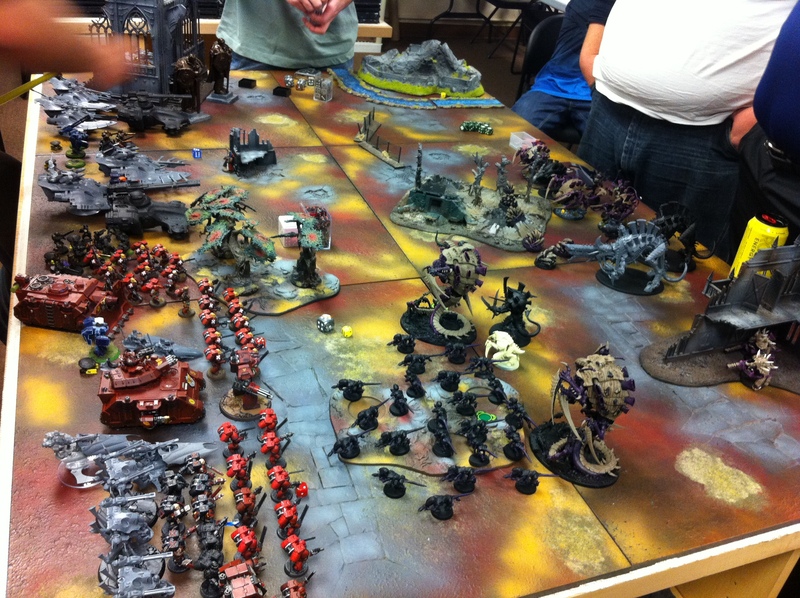 3 players with 2k points each (Me, Jim, Mark) against a single Tyranid player (Josh) running approx. 4k of ‘nids. Josh looks to be the best w40k player at At Ease Games… he knows almost all model stats by memory, is super fast at gaming (hard for me to keep up), but a really great player/opponent. I had tons of fun! We ran out of time (the store closes at turn 11)… my 2k points were essentially tabled (killed) by what I think was the top of turn 4. The ‘nids went after my three assault squads first, neutralized them, then knocked them out. Josh definitely knows what he’s doing. This entry was posted on June 29, 2012 by justinhardin. It was filed under Battle Reports, Warhammer 40K .